As an online marketer or someone who has recently started an online marketing venture, you know the importance of driving traffic to your website. Traffic is the lifeblood of any site. Site traffic increases your exposure as well as the potential for backlinks from interested visitors. As a result, your site will could make a better showing on search engines with more people sharing your links. You will also benefit from an increase in customers and profit. 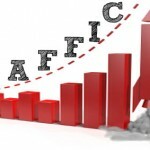 Driving free traffic to your site requires a little know-how and some effort. 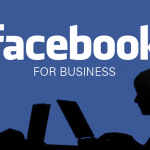 One of the best free traffic sources available today is Facebook. Millions of people use Facebook every day to keep in touch with friends and family. 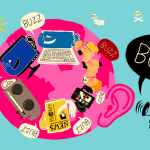 Each conversation takes place on a user’s wall, and may include links, updates, or even photos and videos. If you set your Facebook account appropriately, others can also view your links. Friends who share your links with their friends are further extending your reach. If you maintain an interactive Facebook presence, the items you post could potentially reach a nearly unlimited audience. Savvy online marketers use Facebook to extend their reach and attract people to their sites through appealing links and promotions. 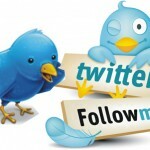 The next big free traffic source is Twitter. Celebrities, businesses, and everyday people use Twitter to connect to friends, customers, and fans. You can easily tap into some Twitter traffic by engaging like-minded individuals with your “tweets.” The Twitter user base is enormous. Your potential reach is huge. Less useful, but still beneficial in attracting free traffic is the world of social bookmarking sites. The most common recent use for social bookmarking sites is to build backlinks for improved ranking on search engine results pages. Although not as powerful as they once were, the links will increase your search engine visibility. The original intention behind social bookmarking sites was establishing a means by which people could tag sites that interested them and share them with others. 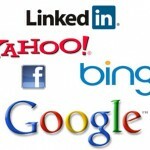 By properly tagging your links, you will undoubtedly obtain some interested searchers. If your links are always high quality, they may even follow you and continually click through to your sites. Another way to make connections and encourage visitors to your site is by being active on related blogs. Blog owners frequently return the favor of a visit when you comment and leave a link to your site. Others participating in the blog comment feed might also follow your link if, and only if, your comment adds something to the conversation. 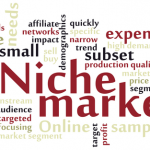 Discussion boards or forums are a great way to connect within your niche. If you add credible information to the conversations, you will eventually be invited to post your link. By proving yourself as an authority, you will entice people to visit your site. Anybody who tries to spam on a forum or blog will likely be immediately deleted. Give other members good information and you will gain free traffic. Marketing your site is not difficult. The downside is that the process is time-consuming. The effort you put into connecting with people through these approaches to free marketing will increase your traffic over time. 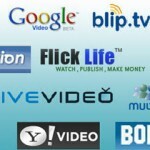 Slowly and steadily you can build a name for yourself and earn free traffic along the way.